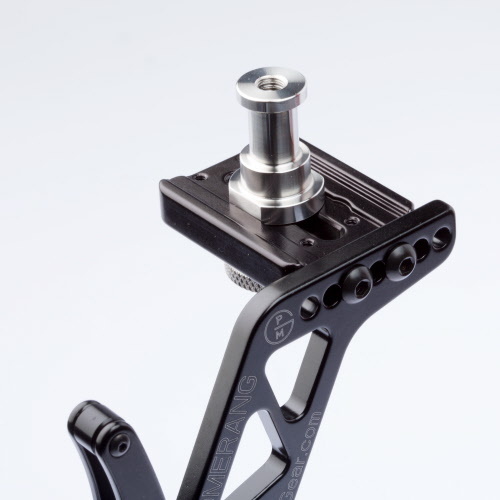 BBX is our PMG Flash Bracket designed for all camera types with or without grip. 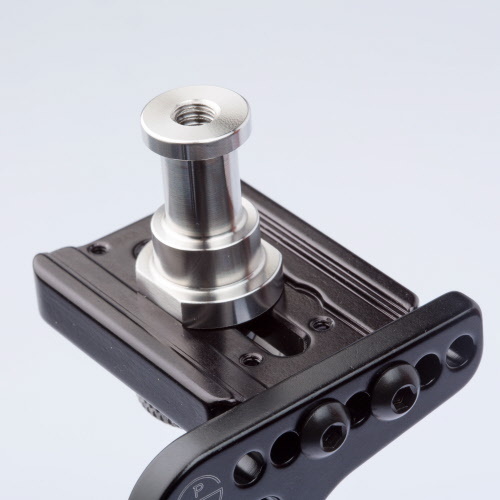 The difference between BBX and BBGv2 is in the bottom mounting structure, where BBGv2 lets you use vertical grip buttons easily while BBX might cover them up. 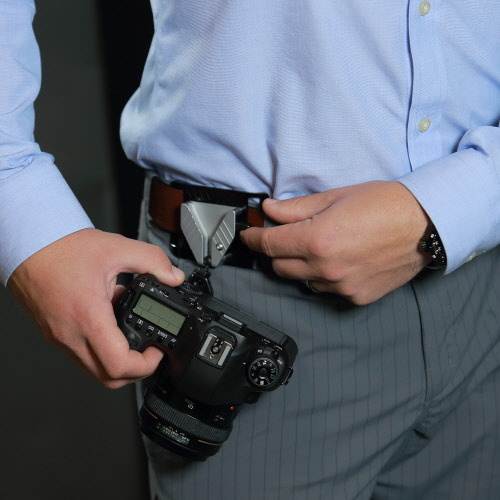 BBX offers flexibility if you need to change your camera geometry (add a grip or remove it) We currently manufacture custom Arca-Swiss type Bracket Plates for Canon, Nikon, and Sony. 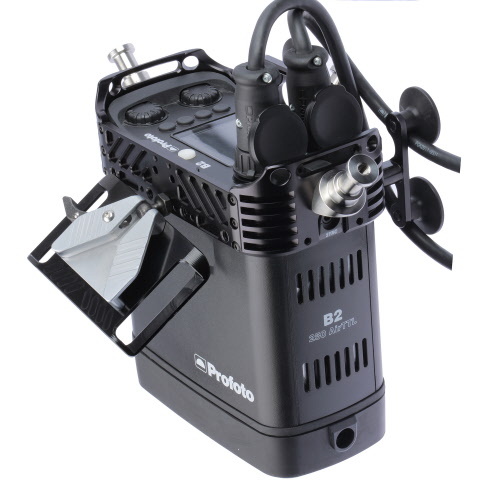 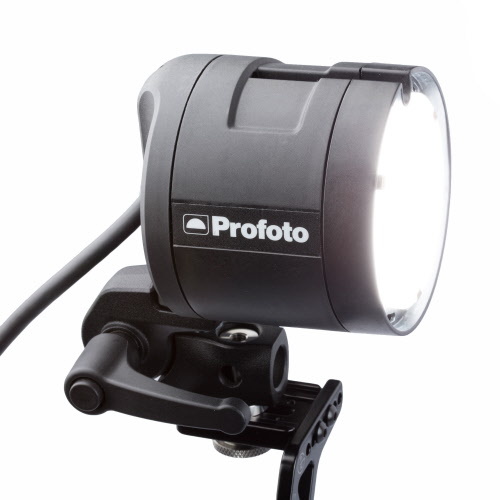 The Flash Bracket can be used with other cameras when you select a PBX3 Universal Plate. 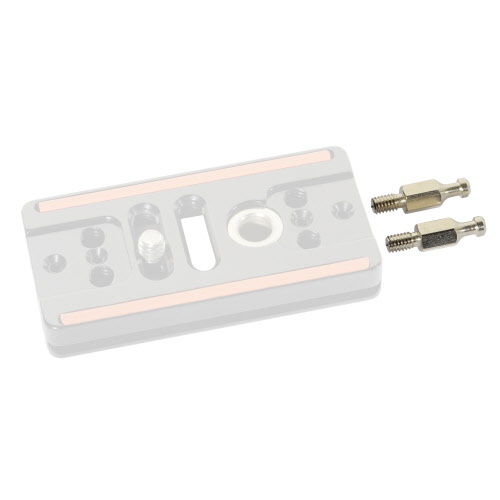 Our Bracket Plates are Arca-Swiss compatible. 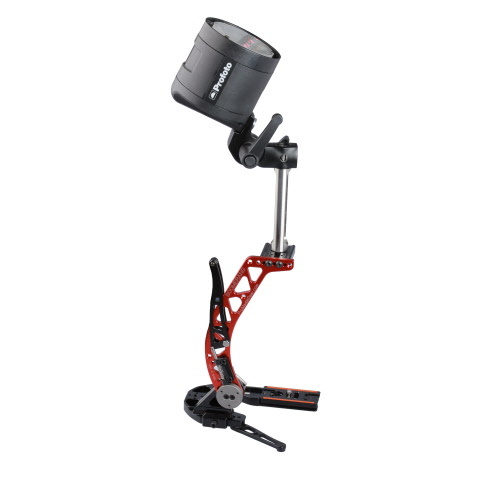 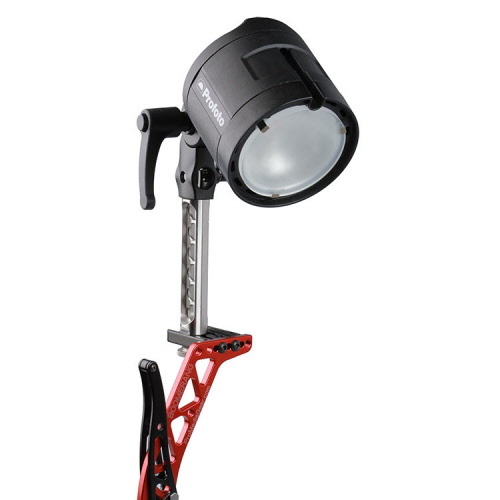 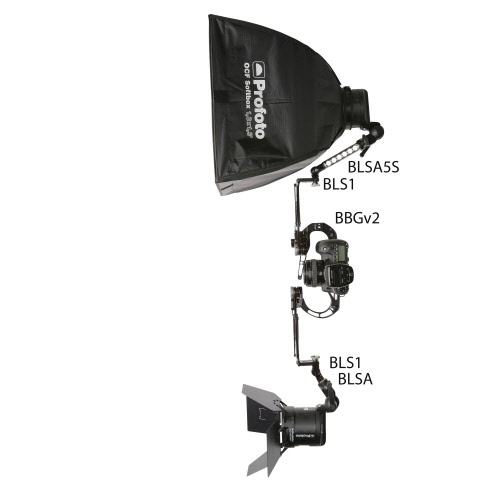 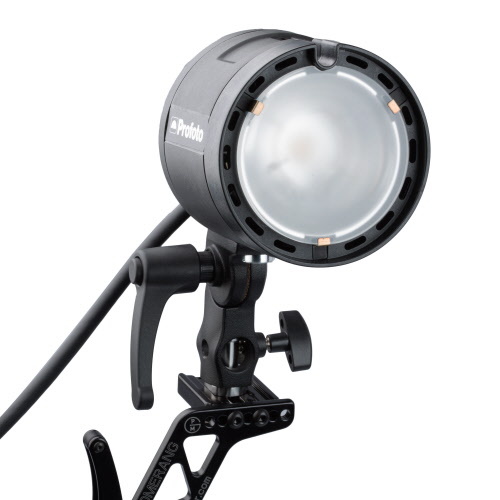 The ProMediaGear Boomerang flash bracket is designed to give you the ultimate flexibility and ease of use. 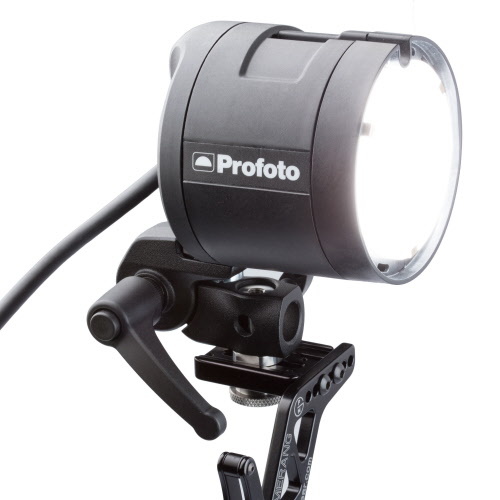 It is a perfect choice for demanding photographers, wedding photographers especially. 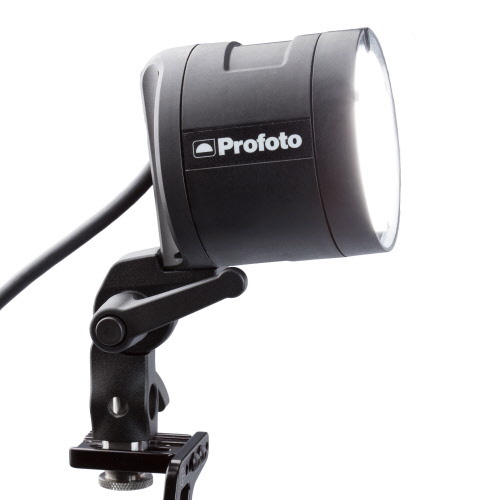 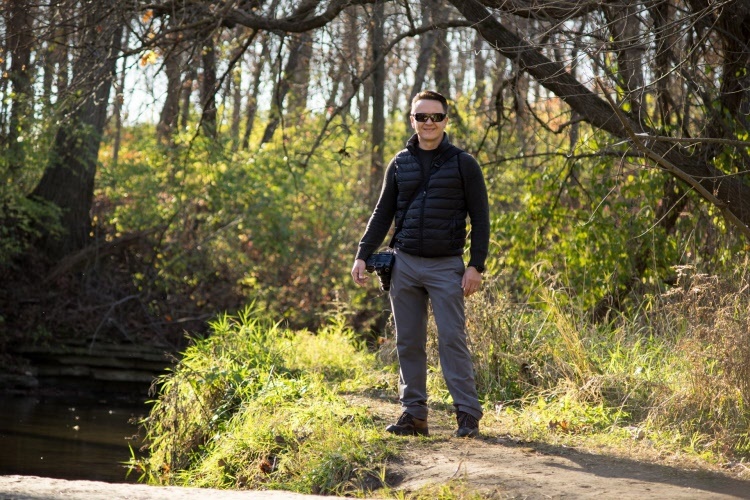 It's basic function is to eliminate subject shadows in portrait or bounce flash photography. 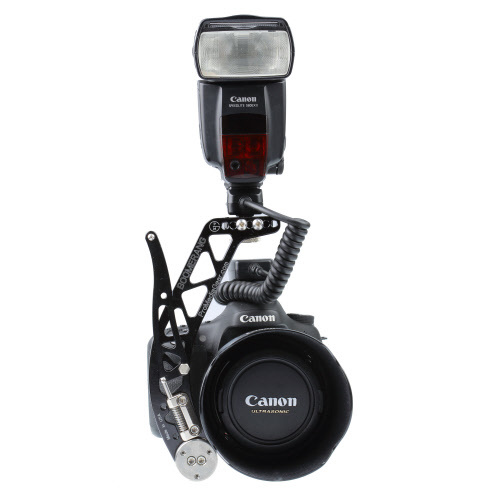 Our unique rotating system locks the flash at 90 degree position so that flash remains upright above the lens and enables you to photograph with the flash above the subject in landscape or portrait positions with effortless ease, precision, and style. 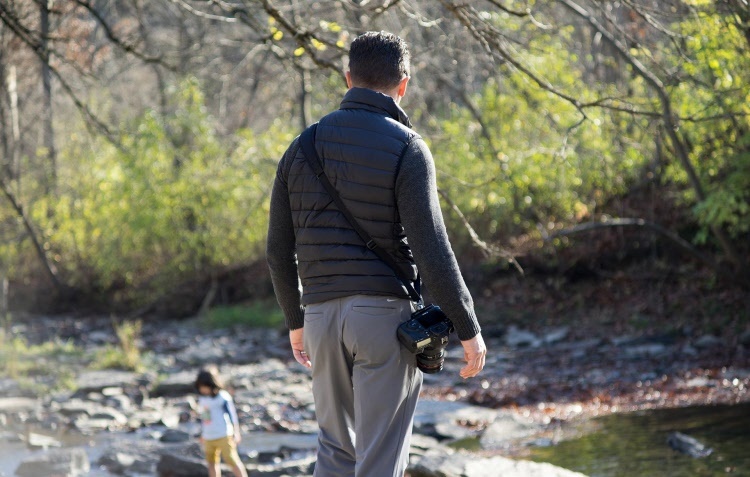 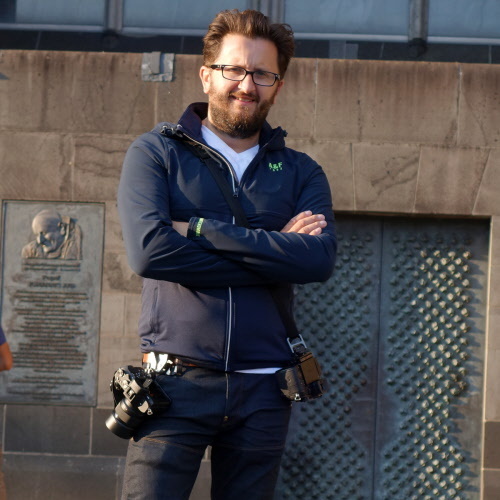 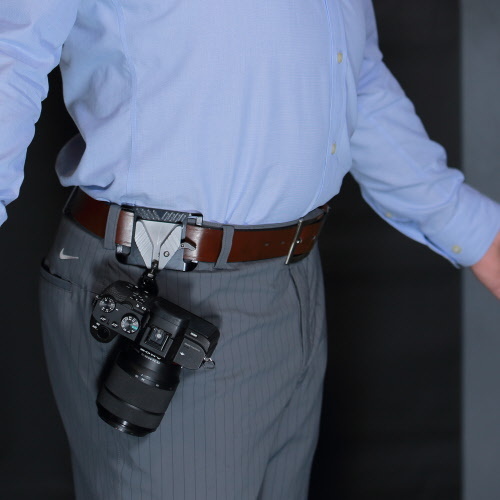 The bracket is compact and lightweight that you can hold your camera comfortably in the right hand as if no bracket was attached and operate the bracket with your left hand if you want to change flash positions. 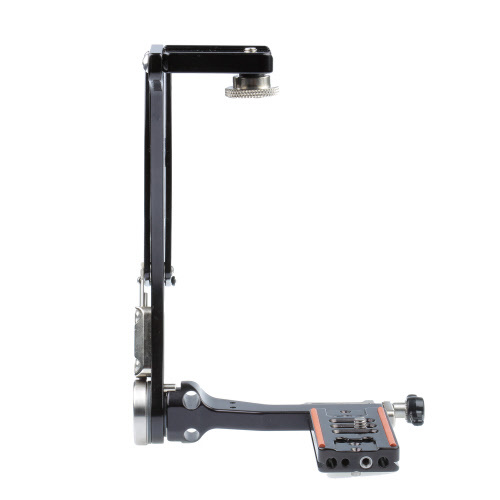 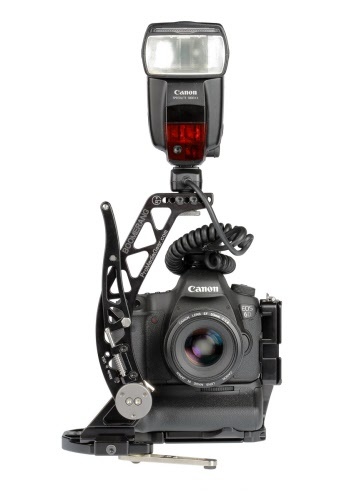 The height of the flash bracket arm can be adjusted to accommodate cameras with or without grip/battery packs. 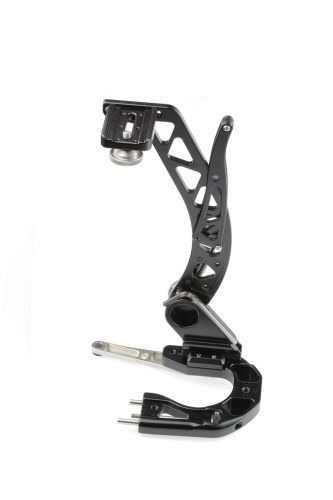 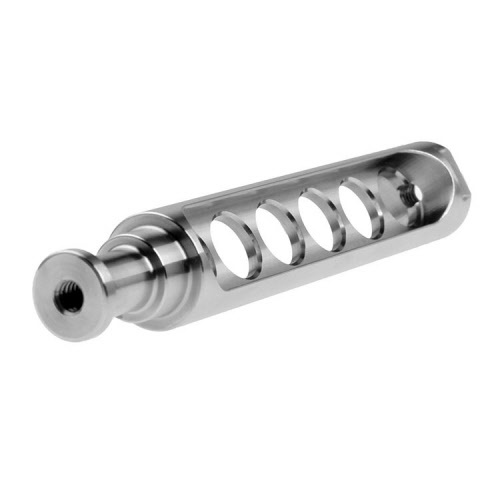 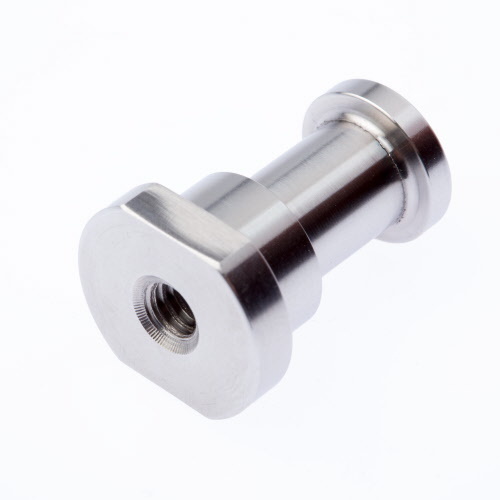 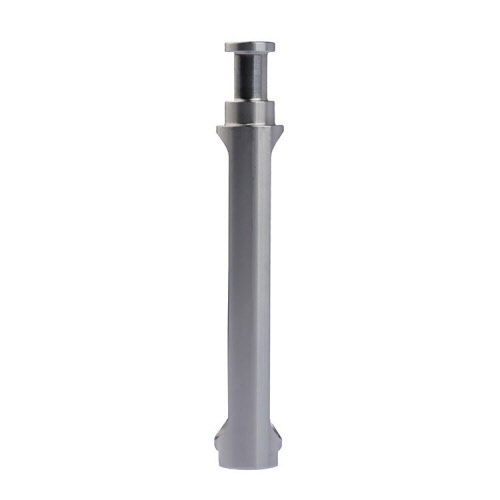 Our high precision manufacturing process and use of rotation bearings make this bracket virtually maintenance free. 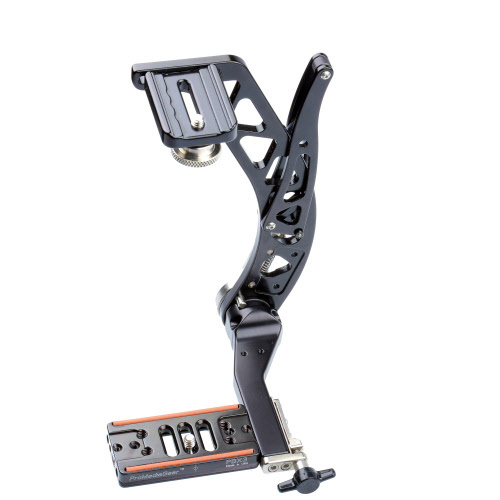 The Boomerang flash bracket mounts to the camera body using a ProMediaGear Arca-Swiss / Anti-Twist custom Bracket Plate or PBX3 Universal Bracket Plate. 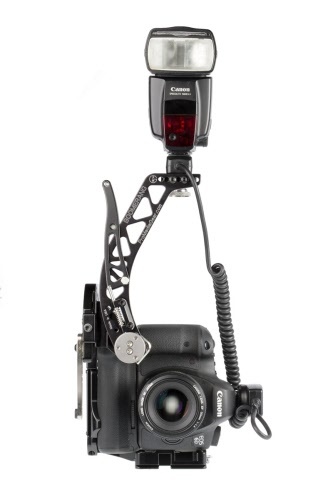 This model will work with all camera type bodies. 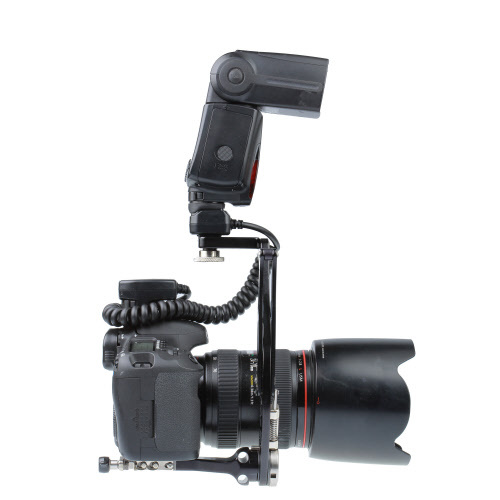 The stand extends below the lens and helps to keep camera stable. 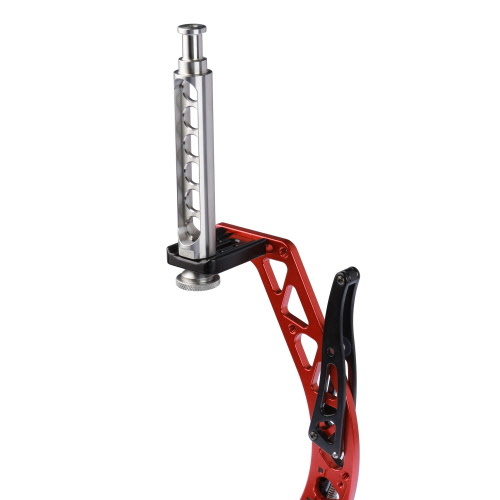 Like a switch blade you can open or close it at anytime. 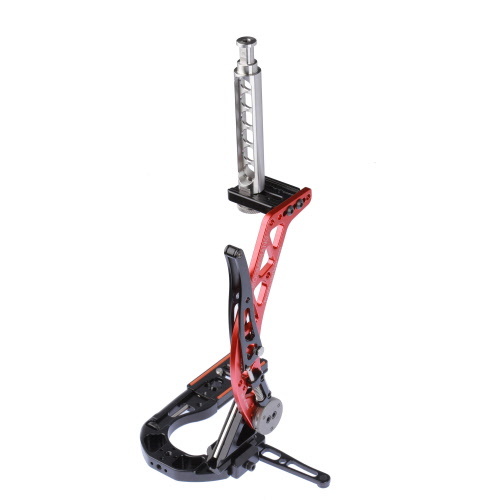 It folds quickly and easily for the convenient storage and transportation. 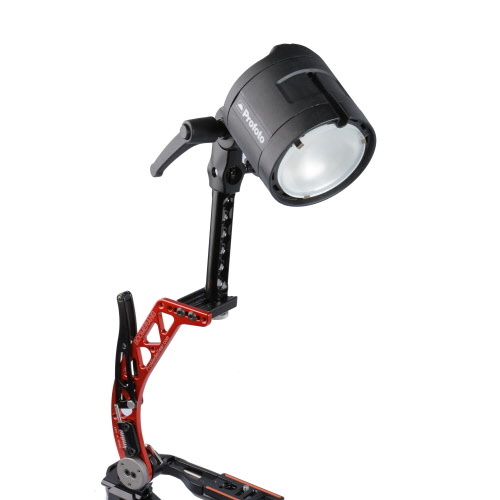 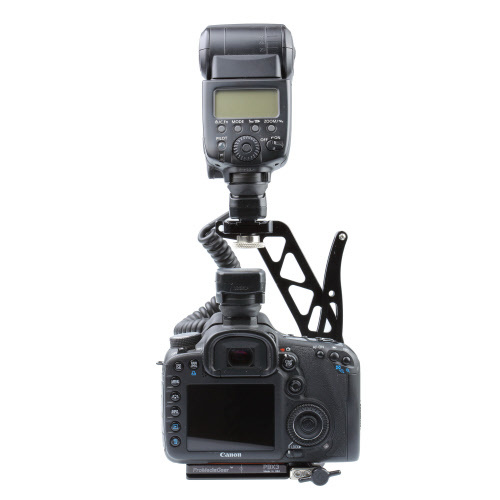 It is height adjustable to accommodate cameras with or without grip/battery packs. 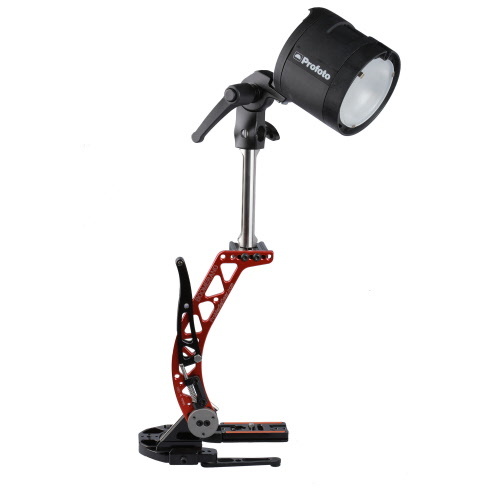 30-day money back guarantee with free shipping in the United States. 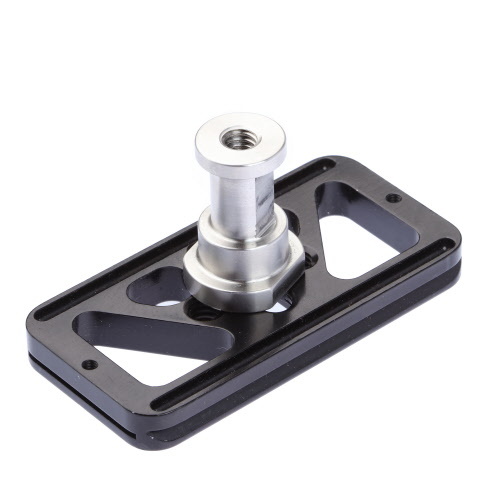 Universal or custom Camera Mounting Plates for Canon, Nikon, SONY, dslr camera models and more coming soon. 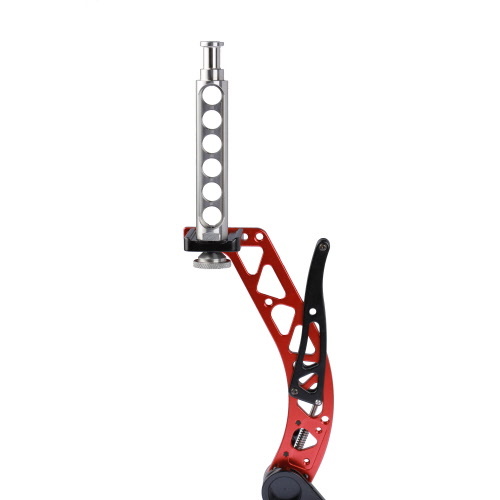 Allen wrench ( it can be stored within the Boomerang arm and is always with you whenever you need it.